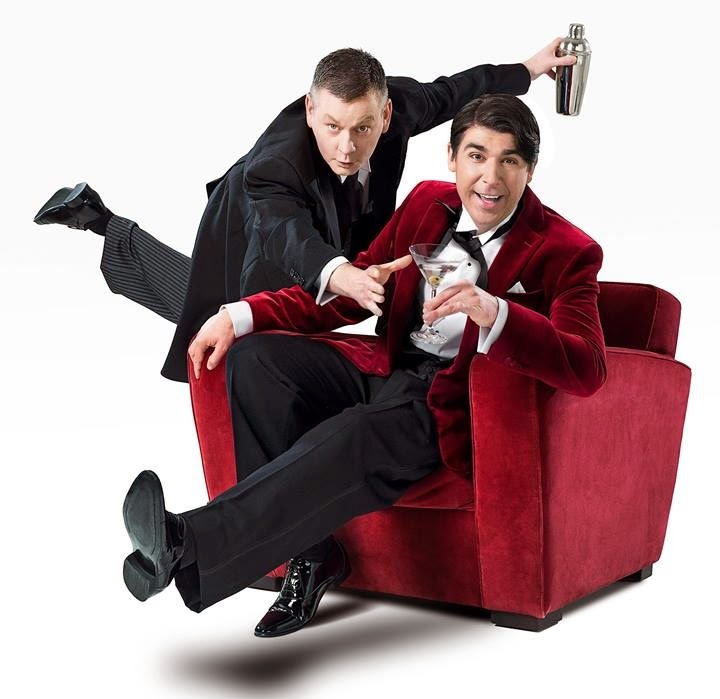 The Olivier award-winning West End comedy Jeeves & Wooster in Perfect Nonsense is set to arrive at Newcastle Theatre Royal this Autumn starring James Lance and John Gordon Sinclair as P.G Wodehouse’s iconic double act. Prepare for lashings of aristocratic tomfoolery from Tue 14 to Sat 18 October 2014. A new play based on and adapted from the short stories and novels of P.G Wodehouse by brothers Robert and David Goodale, Perfect Nonsense comes direct from the West End and fresh from winning The Olivier Award Best New Comedy 2014. 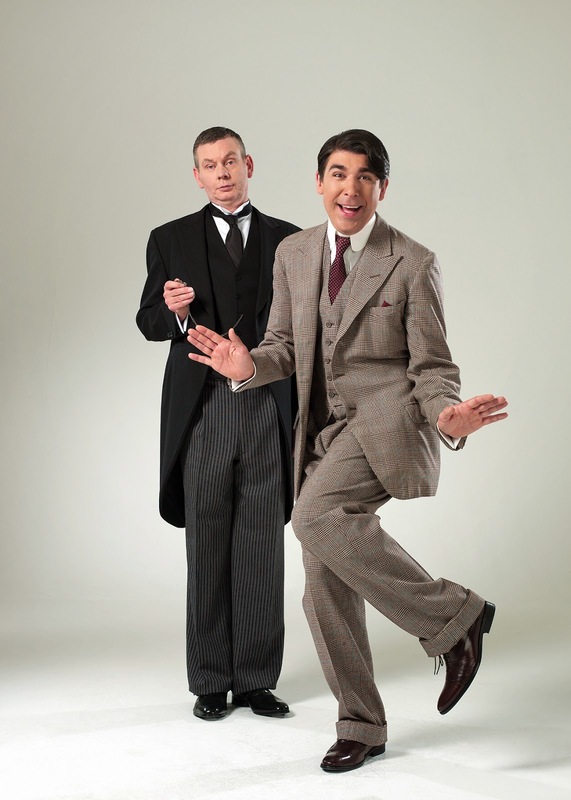 James Lance stars as the charmingly incompetent aristocrat Bertie Wooster and John Gordon Sinclair as his dutiful, unflappable and ever well-informed valet Jeeves. Lance is well-known for his numerous roles comedy series including Teachers, The Book Group, Smack the Pony and I’m Alan Partridge. He has also appeared on screen in films such as Marie Antoinette directed by Sofia Coppola and Bel Ami which starred Robert Pattinson. James’ stage credits include Celebrity Autobiography (Leicester Square Theatre) and Ingredient X (Royal Court). Gordon Sinclair is an Olivier Award-winning Scottish actor best-known for playing Gregory in Bill Forsyth’s iconic 1981 film Gregory’s Girl. In 1995 he won the Olivier Award for Best Actor in a Musical for his performance in She Loves Me (West End). John most recently played Professor Marcus in the West Endrun of The Ladykillers. Other stage credits include The Producers, Absurd Person Singular (both West End) and The Invisible Man (Menier Chocolate Factory). John recently appeared alongside Brad Pitt in the thriller World War Z. His acclaimed debut novel Seventy Times Seven was published in 2012. Co-writer Robert Goodale plays the part of Seppings. Goodale is an Olivier Award-winning writer whose career began as an actor. As adults entering the real world, Robert became an actor, while David pursued a career as a documentary filmmaker, but both remained committed to making people laugh. Two years ago they were encouraged to combine their comic talents to adapt P.G. Wodehouse’s The Code of the Woosters for the stage. They finally put pen to paper, and several drafts later, with the blessing of the Wodehouse Estate, Perfect Nonsense was born. The action commences when a country house weekend takes a turn for the worse and Bertie Wooster is unwittingly called on to play matchmaker, but also to steal a silver cow creamer from Totleigh Towers. Naturally, the ever dependable Jeeves is there to prevent Bertie from making a fool of himself in front of a cast of Wodehouse’s finest characters. An evening of raucous comedy, theatrical absurdity and ridiculous antics unfold in the company of Gussie Fink-Nottle, Madeline Bassett, Sir Watkin Bassett, Dahlia Travers, Roderick Spode and Constable Oates! The production is directed by Sean Foley, an award-winning actor, writer and director. He co-founded The Right Size, creating over ten original comedies for the theatre including the Olivier Award-winning and Tony-nominated production of The Play What I Wrote (Best Comedy 2002) and Do You Come Here Often? (Best Entertainment 1999). His theatre credits also include the multi Olivier-nominated The Ladykillers that toured to Newcastle Theatre Royal in Spring 2013. It is produced in the West End by Mark Goucher and Mark Rubinstein.